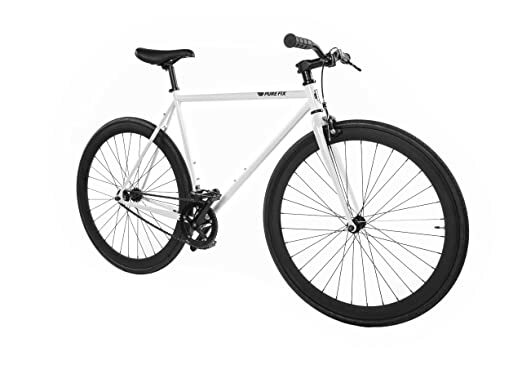 Pure Cycles created the ultimate Pure Fix Original Fixed Gear single speed bicycle starting with the simplicity and elegance of an urban geometry frame and straight fork made from durable high tensile steel. A Neco threadless Headset holds pure Fix riser bars with Oury grips on a pure Fix stem. The v drome saddle provides a nice mix of comfort and raciness. Promax front brakes stop when asked and are easily removed for a purist ride. Hubs are custom Pure Fix lasered KT quandos. 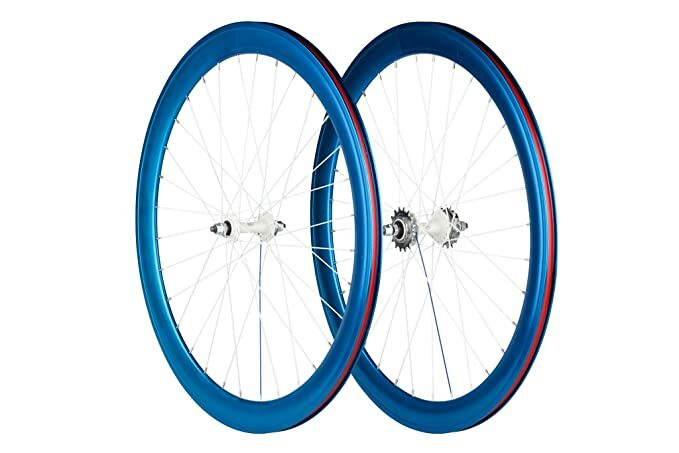 Wtb Thick Slick tires 700cc x 28 tires give you control and contact. Pressure retention is courtesy of 60mm Presta valves. Pure Fix pedals connect you to a three-piece sealed bearing crank set. The gear ratio is 44:16 with 74.25 gear inches using a KMC chain. All this joy comes out with a weight of 22-24 lbs., depending on size. Pure Cycles bicycles are built to live, ride and thrive right where you do. Includes a manufacturer’s lifetime warranty on frames and a 1-year warranty on components (professional assembly is required to activate your warranty). Celebrating bicycling for all that it offers, Pure Cycles, built to live, ride, and thrive right where you do offers a variety of frame, geometry, and gearing options as well as a cornucopia of compatible accessories, including different styles of handlebars, saddles, water bottle cages, foot straps, and more. Get ready to take your night riding to a whole new level on the Pure Fix GLOW in the Dark Fixie Bike. The bike’s paint is solar-activated; just give your bike an hour of daytime sun for an hour or more of night-time fun. Whether you’re a night owl, a raver, or just want to trip out your friends this is the bike for you. Pure Fix Fixie bikes start with the simplicity and elegance of an urban geometry frame and straight fork made from durable high tensile steel. Pure Fix bikes give you the ride and the connected feel you want and need from your Fixie. A Neco threadless headset holds Zoom riser handlebars with Oury grips on a Promax stem. The classic Vader saddle gets the job done, without frills, and it keeps the weight down. Radius front brakes stop when asked and are easily removed for a purist ride. Wellgo pedals and cages connect you to a Lasco three-piece sealed bearing crank set. The gear ratio is 44:16 with 74.25 gear-Inch using a KMC chain. Hubs are custom Pure Fix Lasered KT Quandos. Tubes and tires are a nod to control and contact with Kenda 700cc x 28. Pressure retention is courtesy of 60mm Presta valves. All this joy comes out with a weight of only 22-24 lbs., depending on size. Celebrating bicycling for all that it offers, Pure Cycles offers a variety of frame, geometry, and gearing options as well as a cornucopia of compatible accessories, including different styles of handlebars, saddles, water bottle cages, foot straps, and more. 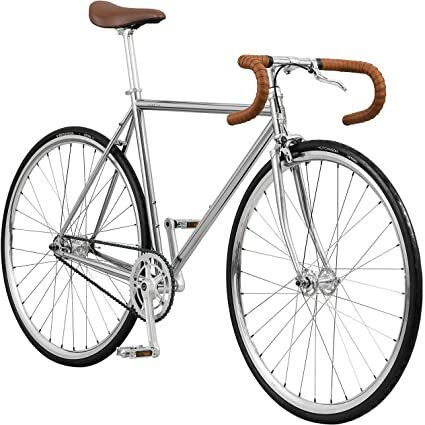 The Pure Fix Premium Fixed Gear Single Speed is the perfect bike to take your riding to the next level. Built with an updated urban geometry double-butted 4130 chromoly frame, raked chrome fork and polished silver quill stem, the classic styled Premium bicycle was bred to be lighter, stiffer, and faster. An alloy headset holds the Pure Fix pre-wrapped alloy handlebars on a Pure Fix stem and the Pure Fix drome saddle provides a nice mix of comfort and raciness. The easily removable Tektro front brakes stop when asked and the sealed bearing hubs will allow your ride to roll more smoothly without losing speed over time to friction. Thick slick 700×28 tires with Kenda tubes on 30mm deep dish double-walled alloy rims gives you control and contact. Pressure retention is courtesy of 60mm Presta valves. Pure Fix pedals connect you to a three-piece sealed bearing crank set. The gear ratio is 44:16 with 74.25 gear inches using a KMC chain. Assembled bike weight of 19-pounds, varies based on bike size — with smaller sizes being lighter and larger sizes being heavier. 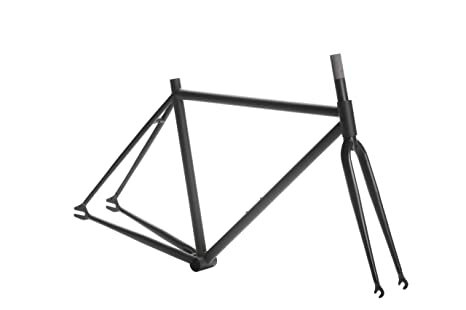 The bike is shipped 90-percent assembled; just attach the front wheel, pedals, saddle and seatpost, handlebars, and brake for an enjoyable cycling experience at its purest. Includes a manufacturer’s lifetime warranty on frames and a 1-year warranty on components (professional assembly is required to activate your warranty). Celebrating bicycling for all that it offers, Pure Cycles, built to live, ride, and thrive right where you do offers a variety of frame, geometry, and gearing options as well as a cornucopia of compatible accessories, including different styles of handlebars, saddles, water bottle cages, foot straps, and more. 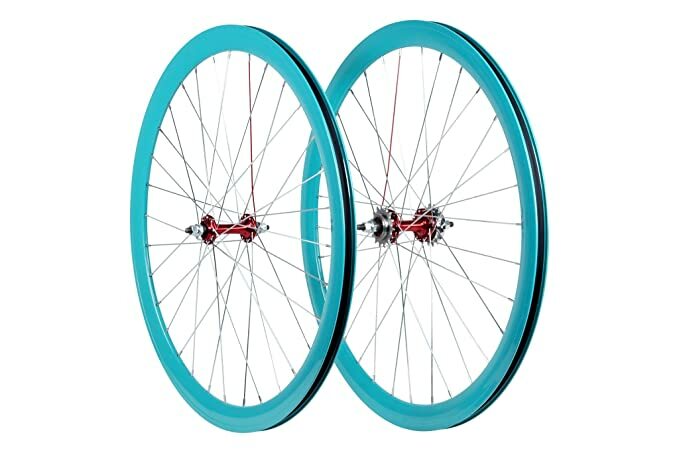 Pure Fix double-walled aluminum wheelset, front and rear sized 700C with a 40mm rim depth, are for riders that want a stiff, light wheel that can perform on many types of rides. These wheels include name-brand and laser-etched KT Quando hubs. The rear wheels include flip-flop hubs with a pre-attached 16T fixed cog along with a 16T freewheel cog for single-speed riding. 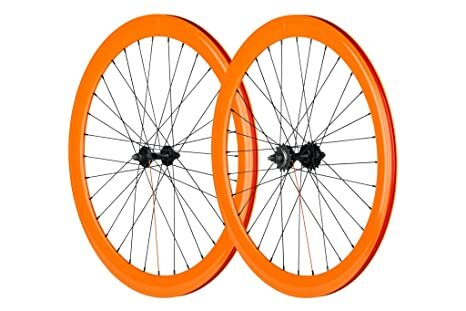 The front and rear wheels are 32 spokes each, and all wheelsets include nylon rim-strips to protect against sharp edges and prevent tube puncture. Recommended for use with tires sized from 23x700C to 32x700C, tubeless ready. Tires and tubes not included (sold separately). 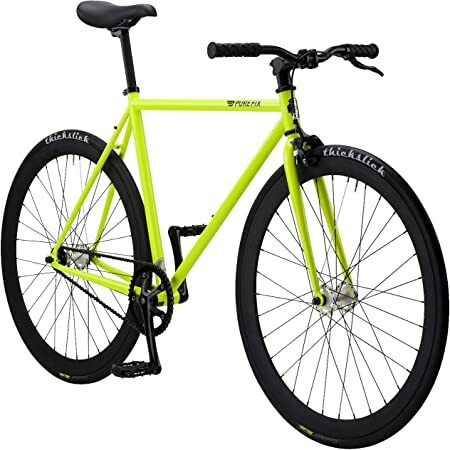 Available in a wide range of colors that mix and match with Pure Fix Fixie bicycles as well as your own. Celebrating bicycling for all that it offers, Pure Cycles, built to live, ride, and thrive right where you do offers a variety of frame, geometry, and gearing options as well as a cornucopia of compatible accessories, including different styles of handlebars, saddles, water bottle cages, foot straps, and more. 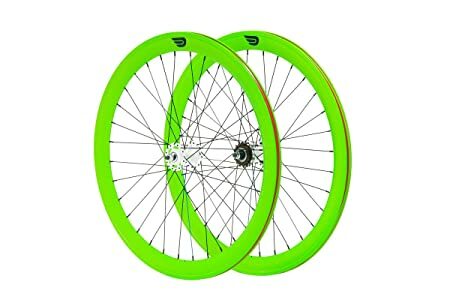 Designed for speed and style in a more compact package, these Pure Fix double-walled aluminum wheelsets are size 650c with a 45mm rim depth, front and rear. The wheels include name-brand and laser-etched 120 mm KT Quando hubs. 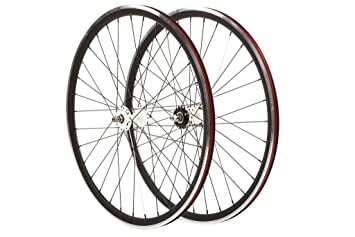 Rear wheels include flip-flop hubs with a pre-attached 16T fixed cog along with a 16T freewheel cog for single-speed riding. 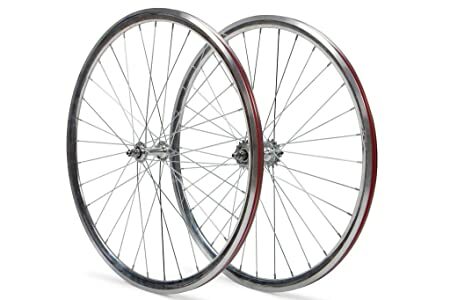 Front and rear wheels feature 32 spokes each and all wheelsets include nylon rim-strips that protect against sharp edges to prevent tube puncture. Celebrating bicycling for all that it offers, Pure Cycles, built to live, ride, and thrive right where you do offers a variety of frame, geometry, and gearing options as well as a cornucopia of compatible accessories, including different styles of handlebars, saddles, water bottle cages, foot straps, and more. 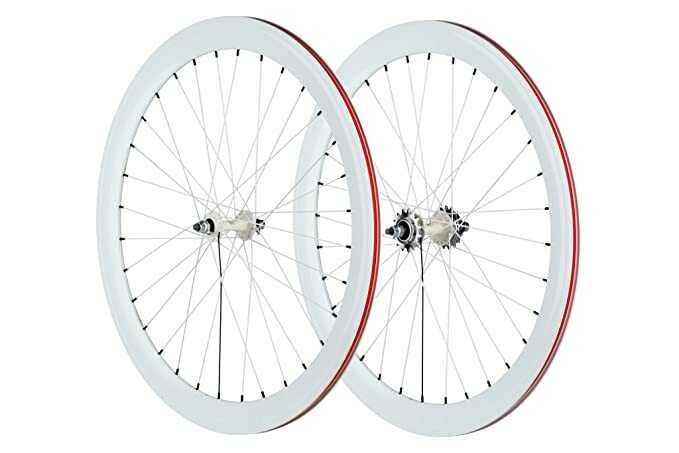 Designed for style with an extra dash of speed, these Pure Fix double-walled aluminum wheelsets are size 700C with a lighter, 30mm rim depth, front and rear. The 30mm wheels include name-brand and laser-etched 120mm KT Quando hubs with a sealed bearing for an all-around faster ride. These wheels also feature machined walls for high performance braking. Rear wheels include flip-flop hubs with a pre-attached 16T fixed cog, along with a 16T freewheel cog for single-speed riding. 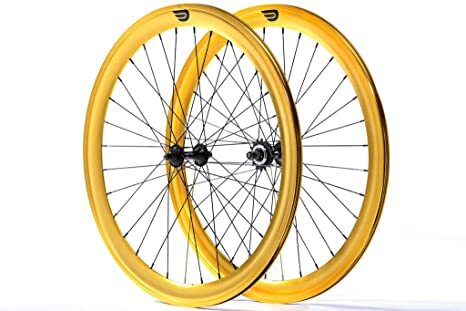 Front and rear wheels have 32 spokes each and all wheelsets include nylon rim-strips to protect against sharp edges and prevent tube puncture. 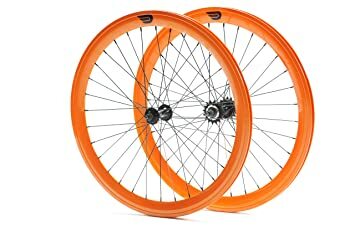 Recommended tire range: 23 by 700C to 32 by 700C (tires and tubes not included). Celebrating bicycling for all that it offers, Pure Cycles, built to live, ride, and thrive right where you do offers a variety of frame, geometry, and gearing options as well as a cornucopia of compatible accessories, including different styles of handlebars, saddles, water bottle cages, foot straps, and more.